End Times for God’s Own Party? 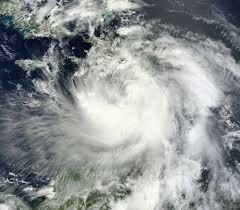 Hurricane Isaac: coincidence, or divine wrath? The hand of God has reached out and smote the GOP with righteous wrath. Yea, even as Republicans struggle through the electoral valley of demographic decline, they are plagued by signs of divine displeasure. -And finally, Hurricane Isaac descends on the Gulf Coast to pound retribution on Republican heads in Tampa for the sins of George, who was cast into the wilderness. Woe to thee, Republicans, for you’ve sorely tried the patience of all. Come November, you shall reap the whirlwind sown by your ideologically pure Christian soldiers, who will march the GOP right to its End Times.